This is a well cared for home that shows true pride of ownership. 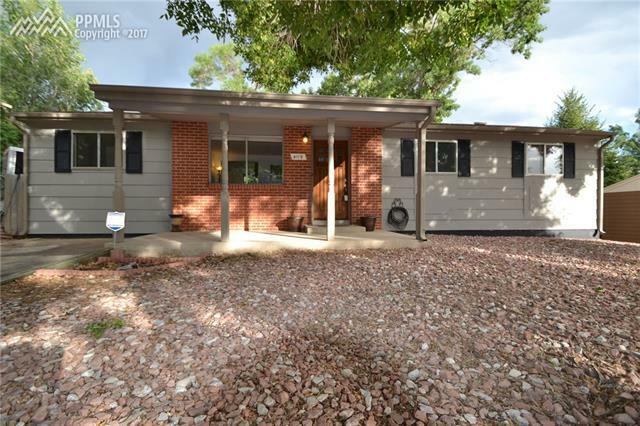 This ranch style home is just what you need with a huge lot and RV parking. The backyard has a storage shed and a chicken coop and it is nice and private. As you walk into the home you are welcomed with hardwood floors and a nice spacious living room that includes the flatscreen television and soundbar. The kitchen has been completely remodeled and includes a gas island stove with a custom hood vent and oven insert. The dinning room is open to the kitchen but is offset with finishes that are normally reserved for custom homes, it has a coffered ceiling! The bathroom has also been refurbished to match the rest of the home and it has a nice bright feel. The master bedroom was designed to make the most of space that it has and it features a walk-in closet for all of your clothes. The laundry room/ mechanical room is located in the center of the home and the high efficiency clothes washer and dryer are also included with the sale. Make an appointment to see this property today! Courtesy of Best Realty, Inc.